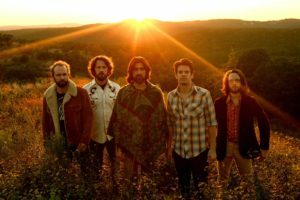 The term “Americana” was practically invented to describe the Band of Heathens’ sound, rich with lyrical content and supported by soaring guitar work and a rock-solid rhythm section. 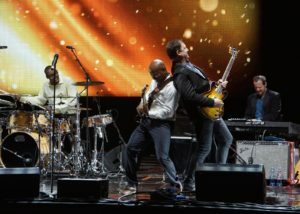 Hailing from Austin, Texas, and together ten years, the group fuses Lone Star blues, rock, and soul sounds with influences from Southern boogie-woogie, stoned soul, heartland country-rock and all points in between. 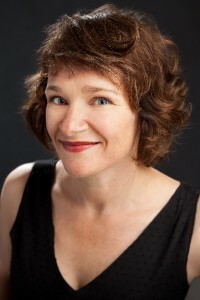 Guest conductor Jason Sherbundy Stage director Ann Woodhead Donizetti’s effervescent opera is generally regarded as one of the greatest comic operas and a melodic masterpiece. 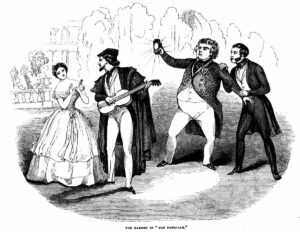 A young couple in love schemes to thwart the plans of an old buffoon who wants to marry the girl himself. 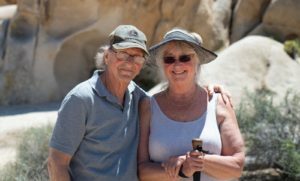 Ticket includes 6:30 PM pre-concert lecture by Jason Sherbundy and Ann Woodhead. 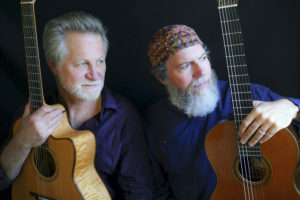 Fingerstyle guitar master Alex de Grassi and Grammy Award-winning classical guitarist Andrew York will perform solo and duo, and will also be joined by members of the Mendocino Summer Guitar Workshop in the premier of a composition for guitar orchestra. Kim Nalley has pipes to burn, packing a 3½ octave range that can go from operatic to gritty blues on a dime, projection that can whisper a ballad yet is capable of filling a room with no microphone. 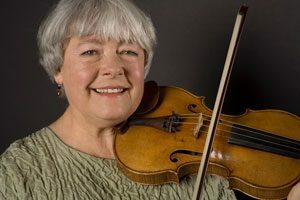 She has been compared to all the greats, but in the end, it’s Kim Nalley and no one else—an unforced instrument with clarity and jazzy musicality, effortlessly delivered, and a sense of humor to boot. Be inspired by Joan Soriano’s work with local middle and high school students who have been participating in the Lead Guitar program. 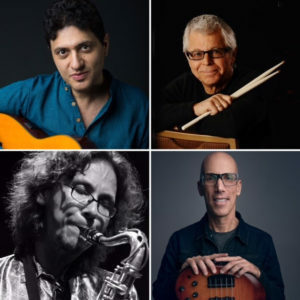 Guitarist Dimitris Mahlis, drummer Ralph Humphrey, bassist Jerry Watts and saxophonist Antti Suzuki bring life to the multi ethnic compositions of Mahlis. 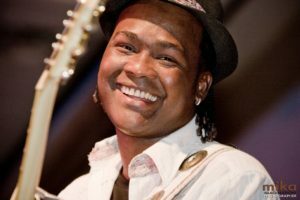 Mahlis’s playing style has been described as soulful and unique, and his compositions have set a standard in cross-cultural pollination. 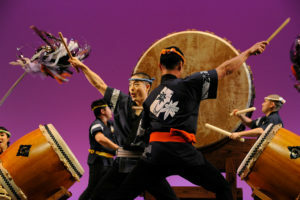 Suzuki’s improvisational talents have been showcased over a varied musical landscape. Humphrey’s brilliant way with multiple meters, along with Watts’ unique approach to non-western genres, creates a rhythm section that explores musical territory with ease. 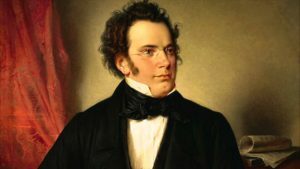 Our inquiry into Schubert concludes with one of his most deeply felt orchestral works, the Symphony No. 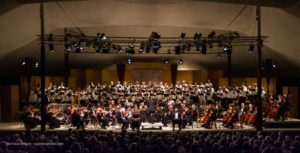 8 in B minor (Unfinished); Richard Strauss’ Burleske in D minor for piano and orchestra features dazzling keyboard work; and Brahms’ Symphony No. 1 in C minor, Op. 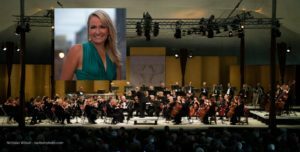 68 closes the concert with “a grand melody in a major key.” Ticket includes 6:30 PM pre-concert lecture by Kayleen Asbo, Ph. 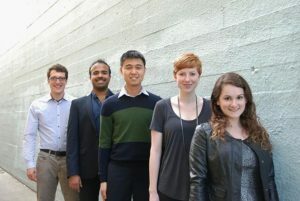 D.
The annual and much anticipated recital by the enormously talented young string players from the Festival’s Emerging Artists Program is one of the season’s highlights. 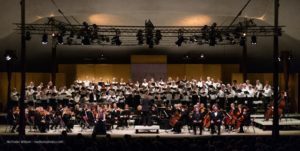 The season closes with Verdi’s dramatic Requiem, a “mass written by an agnostic opera composer in memory of a dear friend and public hero.” Four soloists and the Festival Chorus will sing the monumental work. 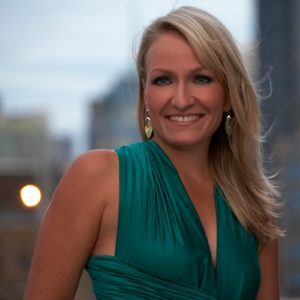 Julie Kierstine, soprano Donna Olson, mezzo soprano Alex Boyer, tenor Phil Meyer, bass Ticket includes 6:30 PM pre-concert lecture. 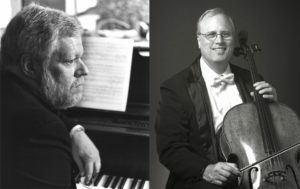 Before their solo turns later in the week, this afternoon Geoff Nuttall, violin, and Livia Sohn, violin, join Stephen Prutsman, piano, to play Telemann’s Gulliver Suite, Cesar Franck’s Sonata in A Major, instrumental versions of familiar arias by Bizet, Verdi, and Gluck, and Hubay’s Carmen Fantasie. Bringing together three styles of exhilarating dance forms—Ottawa Valley stepdance, Irish stepdance, and Tap—these dancers and musicians take you on an amazing dance journey. 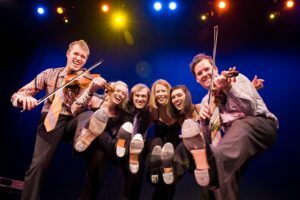 As if dancing weren’t enough, The StepCrew boasts world-class fiddlers backed by an ensemble of some of the most talented musicians in the Celtic music scene today. Festival Orchestra with violinist Livia Sohn and soprano Shawnette Sulker The season opens with Bernstein’s energetic and rhythmic Candide Overture; Copland’s inspiring and melodic Appalachian Spring; Barber’s Violin Concerto; Bernstein songs “New York New York,” “A Little Bit in Love,” “Some Other Time,” “Glitter and be Gay”; and dances from Bernstein’s West Side Story. 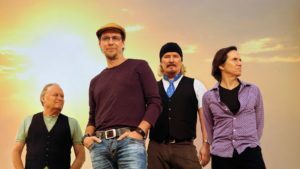 Formed in 2012, vocal band Business Casual is rapidly becoming a fixture in the Bay Area vocal music scene. 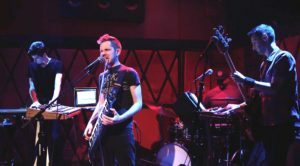 The group explores a wide range of genres including funk, folk, pop, soul, swing, and R&B, guaranteeing that there is something for everyone in their energetic, all-ages shows. 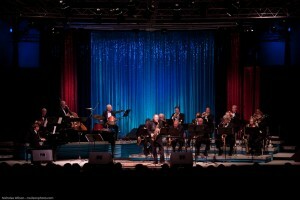 With powerful leads and sizzling beats, audiences can’t believe this group is using only their voices. 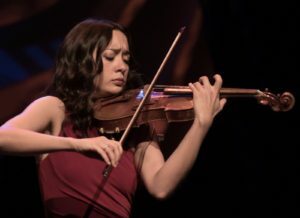 Violinist Lucia Micarelli journeys through many musical influences from classical to jazz to traditional fiddle music and Americana, all bound together by her trademark vulnerability and technical wizardry. 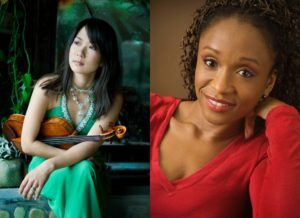 Called “a violinist of heart-melting talent” by the Wall Street Journal, Micarelli is best known for her collaborations with Josh Groban, Chris Botti, and classic rock band Jethro Tull, as well as her starring role as Annie in HBO’s critically acclaimed series Treme. 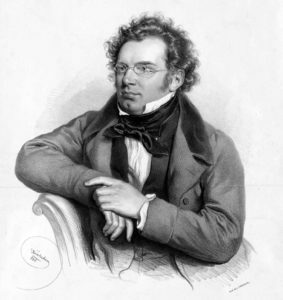 Welcomed for a sixth year of sensitive and eloquent playing, the Calder will perform the Beethoven String Quartet No. 10, Op. 74, The Harp; Webern’s Five Movements for String Quartet, Op. 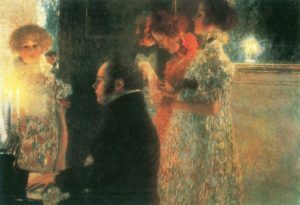 5; and the Beethoven String Quartet No. 16, Op. 135. 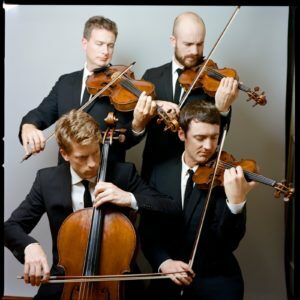 London, 1845: Gratitude to Josef Haydn will showcase this quartet’s core repertoire by playing four of Haydn’s string quartets: D minor, C Major, D Major, and B-flat Major. 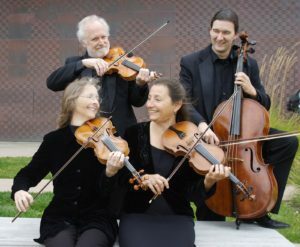 Founded in 2006, the quartet takes its name from the Hungarian estate where Joseph Haydn lived and worked for nearly three decades. 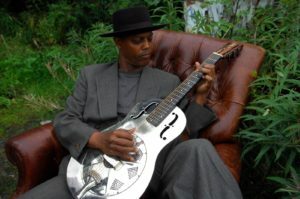 With a career spanning five decades, three dozen albums, countless radio & television appearances, and concerts all over the globe, Eric Bibb is one of the leading bluesmen of his generation. 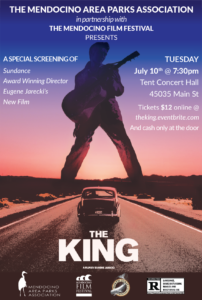 A fiery singer with soul, gospel and folk roots, his blues are honest and powerful. 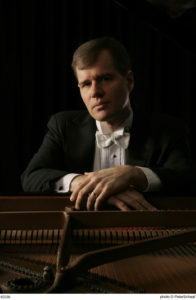 Born in New York and raised in a musical family, Bibb currently lives in Sweden. 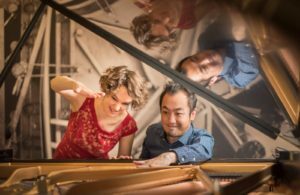 The Mattlock Duo (husband-and-wife team Daniel Lockert and Jenny Matteucci) will transform Preston Hall into a New York cabaret with music that crosses over from favorite standards, to twentieth century “classical” composers, and to Broadway. 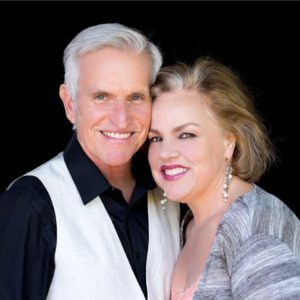 Their eclectic and humorous show “For the Love of…” will explore the many facets of love and showcase songs with intimate style. Heartfelt, energetic, and down home, The Barefoot Movement has been heralded by CMT Edge as “one of the most promising new bands on the bluegrass scene.” Selected as showcase artists at conferences of both the International Bluegrass Music Association and the Americana Festival, this acoustic band takes listeners back to another place and time with a show as fun to watch as it is to hear. In “A Love Letter to Lena Horne,” Clairdee will commemorate the career of the groundbreaking singer, actress, and activist with fresh arrangements of songs associated with Horne from Harlem to Hollywood, Broadway and beyond. The program will include historical references and personal reflections on Horne’s significance as an American cultural icon. Clairdee’s lustrous voice and soulful delivery hearken back to a time when jazz, pop, and R&B often blended seamlessly together. Bach’s Trio Sonata in E-flat Major; Shostakovich’s Piano Trio No. 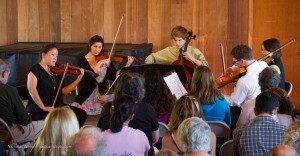 2 in E minor; and Mozart’s Quintet in A Major for Clarinet and Strings. 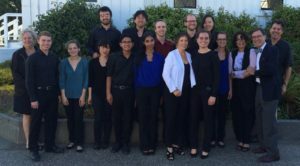 Tammie Dyer, violin; Susan Freier, violin; Jay Zhong, violin, Eric Kritz, clarinet; Tom Nugent, oboe; Stephen Harrison, cello; Carolyn Steinbuck, piano. 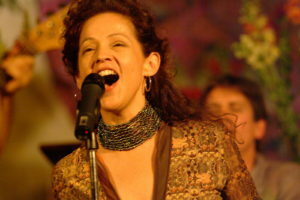 Once a Leonard Cohen back-up singer, singer-songwriter Batalla launched her solo career with Cohen’s encouragement. The Grammy-nominated Batalla has recorded seven albums, written for both film and television, and toured worldwide. 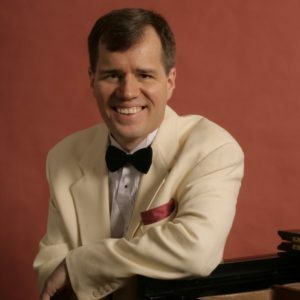 Piano Series, with continued focus on Chopin In his recital for the Piano Series, John Novacek has chosen examples from four important Chopin genres: the etude, the nocturne, the impromptu, and the ballade. 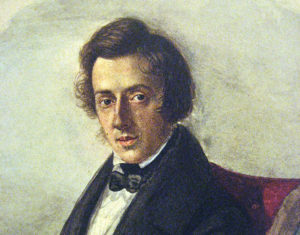 Chopin’s Etude in A-flat Major, Nocturne No. 7 in C-sharp minor, Impromptu No. 1 in A-flat Major, and Ballade No. 1 in G minor. Mozart’s Rondo in A minor, K. 511, Messaien’s Le baiser de l’enfant-Jésus, and Liszt’s Liebestraum No. 3 and Rhapsodie espagnole, S.254. 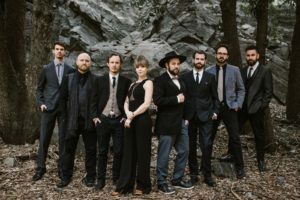 With a vibrant mix of vintage Americana sounds, this eight-piece group “would have sounded utterly at home within the hallowed confines of Preservation Hall in New Orleans’ French Quarter,” according to the Los Angeles Times. 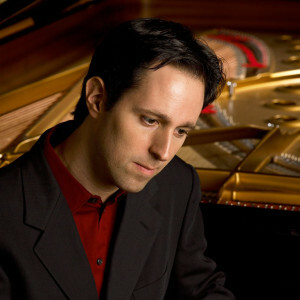 Piano Series, with continued focus on Chopin In his recital for the Piano Series Spencer Myer will play, among other works, the Four Scherzi of Chopin. 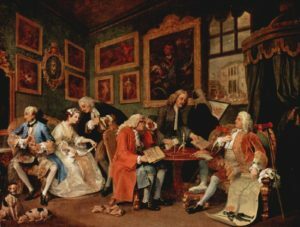 Haydn’s Keyboard Sonata in E Major, Hob. XVI: 31; Debussy’s Estampes and L’isle joyeuse; and all four of Chopin’s scherzi: No. 1 in B minor, Op. 20; No. 2 in B-flat minor, Op. 31; No. 3 in C-sharp minor, Op. 39; and No. 4 in E Major, Op. 54. 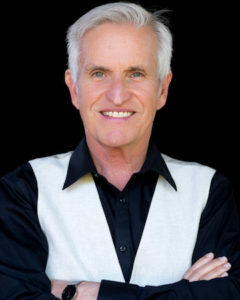 Performing together since 1980 and consisting of two sets of brothers, Venice’s music is a reflection of growing up in the California beach town for which the group is named. 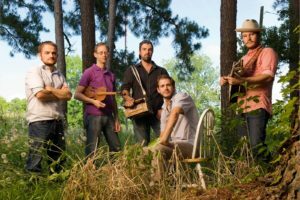 With sounds at once familiar and fresh, their music is a winning hybrid of folk/rock/soul. 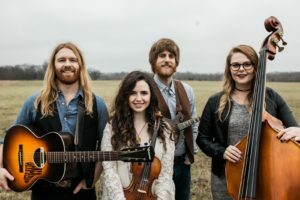 Venice’s trademarks are their beautiful harmonies, personal lyrics, and high-energy shows; their distinctive vocal sounds have allowed them to perform and record with some of the biggest names in the music industry.